TUESDAY, Jan. 23, 2018 (HealthDay News) — Water pollution is damaging Americans’ health, and at a high financial cost, too, new research finds. 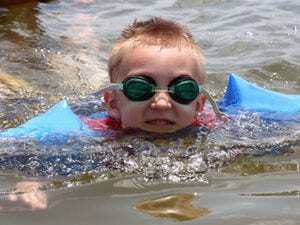 Water-related recreational activities lead to more than 90 million cases a year of gastrointestinal, respiratory, ear, eye and skin-related illnesses in the United States, according to the study. The researchers calculated that those illnesses result in $2.9 billion a year in medical costs and costs related to time away from work or school. For the study, researchers from the University of Illinois at Chicago assessed waterborne illnesses contracted from swimming, paddling, boating and fishing in lakes, rivers and other natural bodies of water. The study did not examine illnesses associated with swimming pools or water parks. “The costs associated with these illnesses help us put into perspective the costs of projects that aim to help make our recreational waterways cleaner and safer,” Samuel Dorevitch, an associate professor of environmental and occupational health sciences, said in a university news release. However, the findings should not panic people, he said. “At 90 million illnesses out of an estimated 4 billion total water recreation events annually in the U.S., the number of people who get sick is around 2 percent,” Dorevitch explained. That said, he added that it’s not easy to determine exactly how many illnesses result from water recreation. “If somebody gets sick a couple of days after swimming and visits their doctor, the root cause of the illness — bacteria or viruses in the water — may not be recognized or investigated,” Dorevitch noted. The study findings were published online Jan. 9 in the journal Environmental Health. The U.S. Environmental Protection Agency has more on beaches and health.